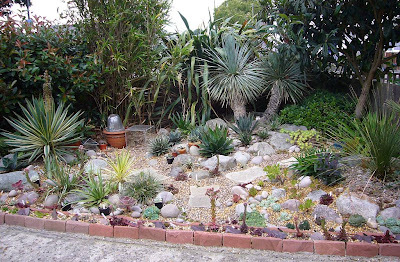 Even back then there were signs of my addiction with pots full of agaves and I think it was the thought of having less plants in pots that persuaded my OH to let me dig up the concrete. Not sure it worked quite like that in the end, although at least the front bed has developed every year and she actually enjoys looking out onto it. Now I just need to dig it all up! 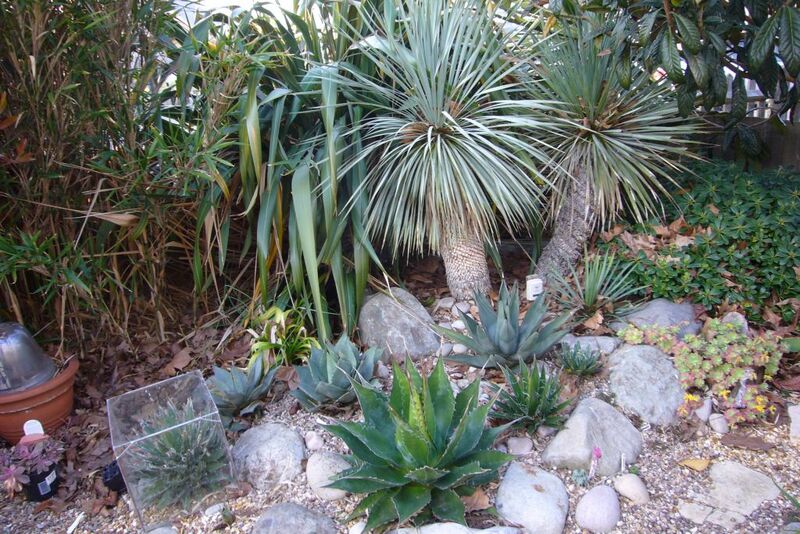 The agaves and yuccas are going to be first, some of these have got quite large now and this section of the bed is probably my favourite. 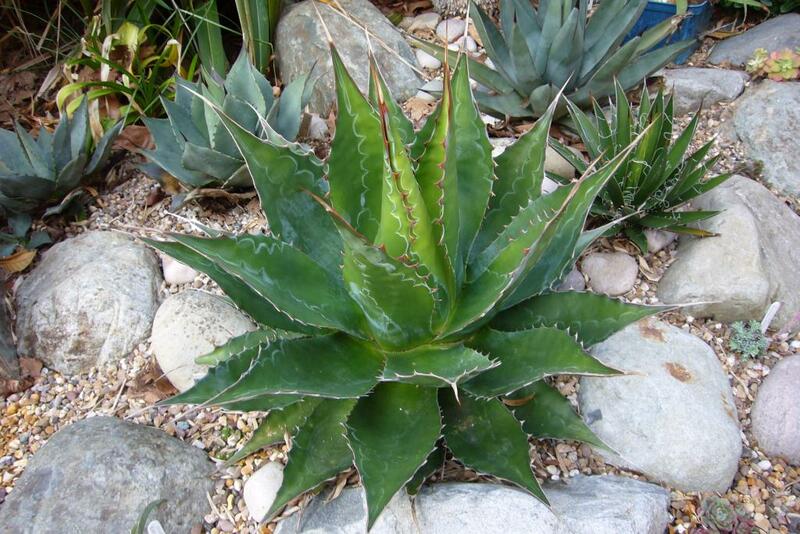 One has to be the agave montana, they love having their feet in the ground and is almost twice the size of the one kept in a pot. At this size it copes with our winters without any problems, only needing a little protection to keep snow out of the crown. It is a good one for the UK as it grows best when slightly colder and wetter which is perfect for those UK summers. I will be interested to see how far the roots stretch on this one. 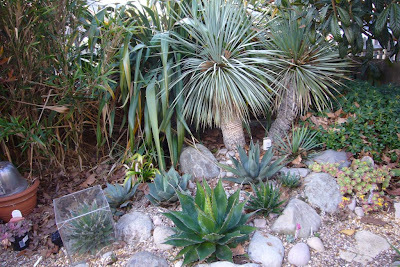 Also in this bed are two agave filiferas, two agave parryis (plus a few pups), an agave x nigra and a few little ones. 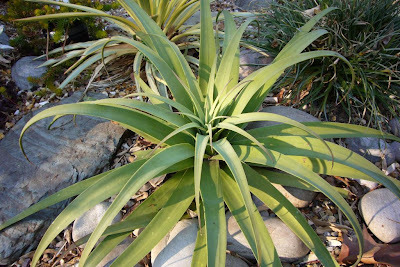 The large yucca rostratas are going to be interesting as well. They are famous for dropping their roots as the first sign of disturbance. Hopefully being in gravel will allow them to be dug up with minimal disturbance. 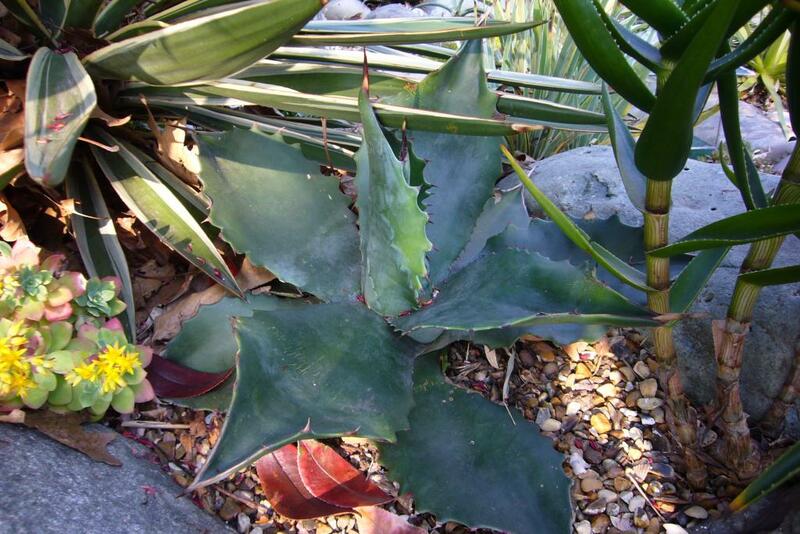 While this agave gentryi is hidden away in almost shade. 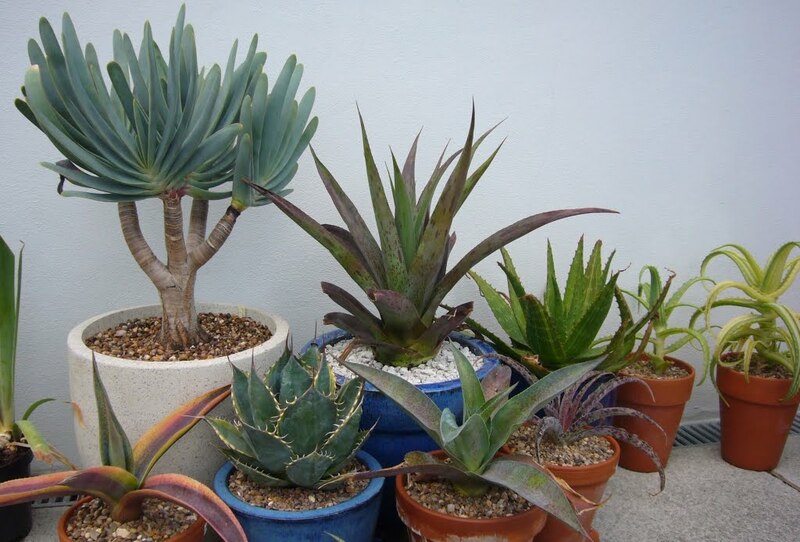 As I am not sure how long it will be before I can replant them, they will be put into pots and grown under the assumption that they will still be in pots over winter. That way in the worst case of not having their new home ready in time they should be easy to manage over winter. 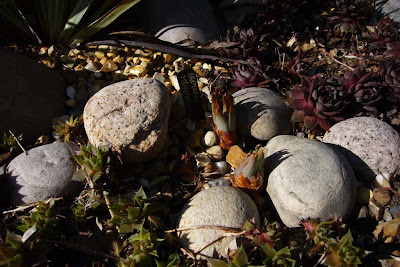 This will work fine for most of the plants, the problem plant is going to be eremurus stenophyllus. 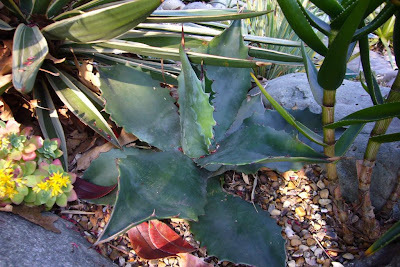 You may remember this post about the plant last year. It is starting to appear again and I don't have time to leave it to flower. I have no idea when the best time to dig it up will be, should I do it sooner or leave it as late as possible? If anyone reading this knows please let me know, it will be a great help. So that's what is going to be keeping me busy for the next few weekends. It will all be worth it for a larger garden, space for a green house and of course the fun of being able to design something from scratch again. Or lets hope so anyway. 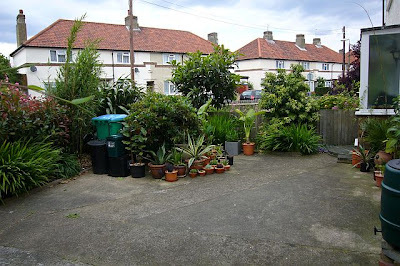 There is a joke in the UK that people rip out rose gardens to replace them with their tropical paradise only to rip that out and replace it with a rose garden when they move. I know that if I left it the next people would only either kill the plants in the first winter, or dig them up and bin them anyway. You've certainly got a great attitude about this. I'm in the midst of two comparatively small projects and yet overwhelmed. I am definitely a glass half full person. 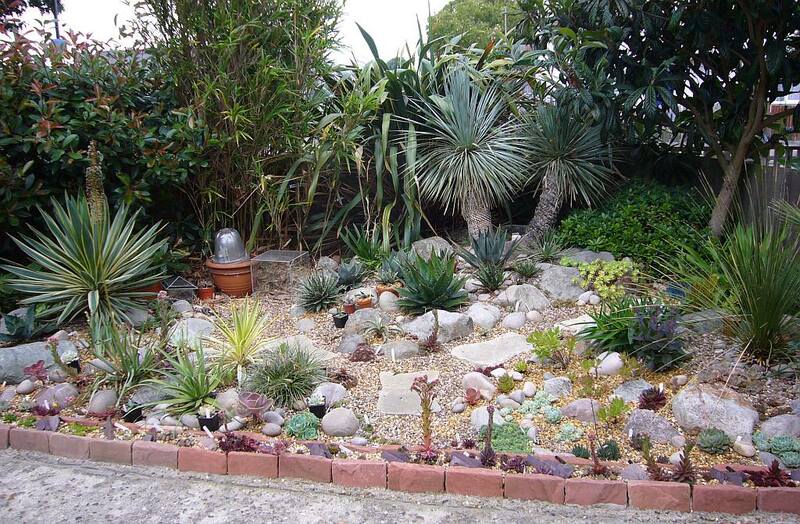 I think you have to be to garden like us otherwise you would get too upset each when when you loose so many plants. Officially moving yikes - where and when? Could you just rent a massive greenhouse and move in there? I did see little house near kew gardens. Not enough space for a green house but I just though I could use theirs! Part of problem is that a friend has had a lovely house built for them and I am jealous!